The Bump Short Glasses from Tom Dixon take inspiration from glassware traditionally found in science labs. 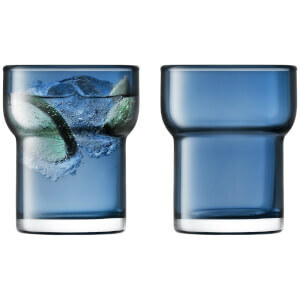 Hand-crafted, the glasses are mouth-blown into a specially engineered graphite mould from borosilicate glass, a durable, heat-resistant glass. 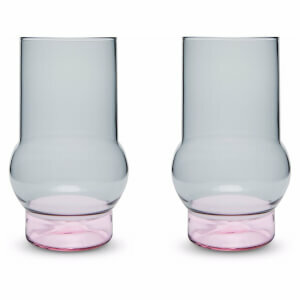 The glasses are designed with chunky bases and delicate bowls in translucent shades of pink and grey and are ideal for short drinks, water and cocktails. 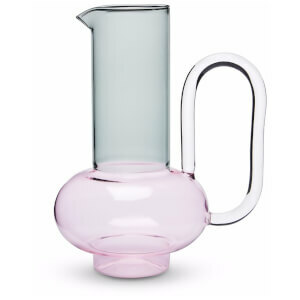 Dimensions: H: 9cm x W: 8.5cm x D: 8.5cm. 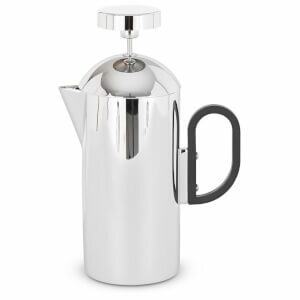 Capacity: 225ml each.